The process of filing an auto accident claim isn’t always as straightforward as it might appear. Unfortunately, it’s all too easy to make a simple mistake that can compromise your ability to obtain just compensation for your losses. It’s best to contact a personal injury lawyer near Tracy or Manteca as quickly as possible. Your personal injury lawyer will offer invaluable legal guidance and help you get the funds you need to get your life back on track. After a car crash, your first phone call should be to a 911 dispatcher. After the police clear you to leave the scene, you should go to the nearest medical center. Once you’ve been evaluated by a doctor, it’s time to call a personal injury lawyer. It’s advisable to speak with an injury lawyer before you contact the insurance company because your lawyer can guide you through the process of speaking with the claims representative without inadvertently saying something that might lead to negative consequences. Even in simple accident cases, the insurance carrier may try to shift some of the blame to the victim to lower the amount of the settlement. Physical evidence and eyewitness testimony will help prove your case. Bring all relevant documents to your meeting with your personal injury attorney, such as a copy of the police report, your medical records, and car insurance policy. Your lawyer will need information about the other driver and a list of witnesses, such as passengers or passersby. It’s always a good idea to take photographs of the crash site, the damage to the vehicles, and any other relevant details. Your lawyer will use all of this evidence when he or she negotiates with the insurance carrier on your behalf. When you speak with the claims representative, it’s important that you avoid giving any recorded statements. Do not provide the insurance company with any written statements, or sign any waivers or releases until you speak with your attorney about these matters. Estate planning is essential for every adult, regardless of the extent of their assets. When it’s time for you to visit an estate planning attorney in Tracy or Livermore, you should take some time to prepare. Arriving with the right documents and information allows you to get the most out of your estate planning appointment. Watch this video to find out which documents and information you will need to bring to your appointment. You’ll also learn about some of the matters that your lawyer can assist you with beyond the creation of a last will and testament. When you arrive at your appointment, you should be able to clearly state how your lawyer can help you, such as by offering general advice, setting up a trust, or protecting your assets. 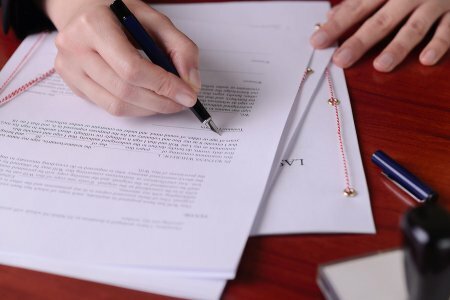 One of the many reasons why it’s so important to consult an estate planning attorney is that if you die without a will in Tracy or Livermore, the state rules of intestate succession will determine what happens to your assets. If you have a close relative who died intestate, or without a will, you can consult a lawyer regarding the rules of intestate succession. Not all assets are distributed via wills. These assets are exempt from the rules of intestate succession. These assets include life insurance benefits, retirement account funds, and all assets that have been transferred to a living trust. Payable-on-death bank accounts, transfer-on-death securities accounts, and transfer-on-death vehicles are all exempt. Additionally, jointly owned property such as the family home is not distributed via a will; the co-owner will automatically assume full ownership. Assets that are subject to the rules of intestate succession are distributed according to which relatives are still living. Surviving spouses often receive most of the property. If a decedent has no living children, siblings, or parents, then the spouse inherits everything. If the decedent has a living spouse and children, then the spouse will inherit all of the community property and either one-half or one-third of the separate property. When a decedent leaves behind a spouse and parents, then the spouse inherits all of the community property and one-half of the separate property. If no parents survive, but the spouse and siblings do, then the spouse inherits all community property and one-half of the separate property. The siblings inherit the rest of the separate property. If the decedent’s only survivors are his or her children, then the children will inherit everything in the estate. If the children and the spouse survive, then the children will only inherit one-half to two-thirds of the separate property, but none of the community property. These guidelines are applicable to adopted children, who are legally treated the same as biological children. Biological children who were placed for adoption will not receive a share of the inheritance, unless they were adopted by the decedent’s spouse. After sustaining injuries in an accident, many people are hesitant to contact a personal injury lawyer because they worry about not being able to afford their legal fees. But this should not be a deterrent to seeking legal justice. Instead, simply look for a personal injury lawyer near Tracy and Livermore who will take your case on a contingency basis . A contingency arrangement offers zero risk to you because, in the event that you do not recover a jury award or settlement, you won’t owe any legal fees. With a contingency arrangement, the personal injury lawyer agrees to handle your case and charge nothing, with the possible exception of copying fees or payments to expert witnesses. If you do obtain a favorable jury verdict or settlement deal, then the injury lawyer will take a percentage of the compensation in exchange for handling the case. 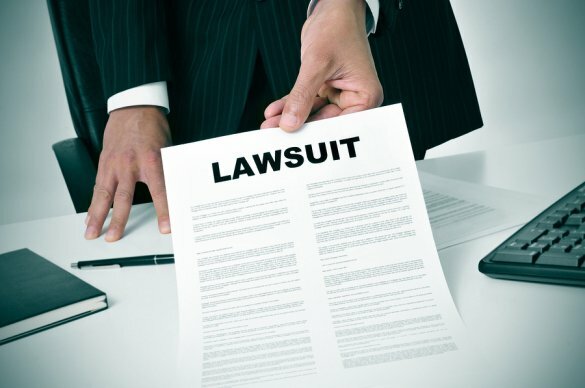 Personal injury lawyers litigate many types of cases on a contingency basis, including auto accidents, slip and fall injuries, and dog bite cases.